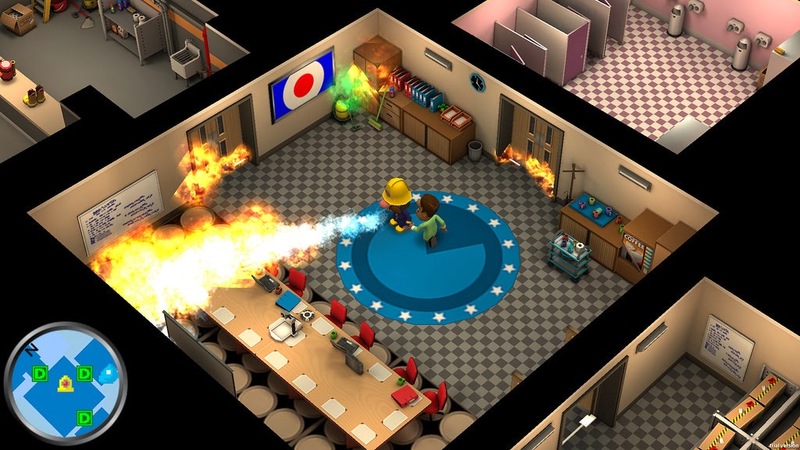 Laughing Jackal has revealed new details about the company's upcoming Vita game, Flame Over. The studio calls this game a "fire-fighting action roguelike, featuring randomly generated levels, twin stick controls, fast-paced gameplay, permadeath and dynamic fire that burns, spreads and threatens the player." 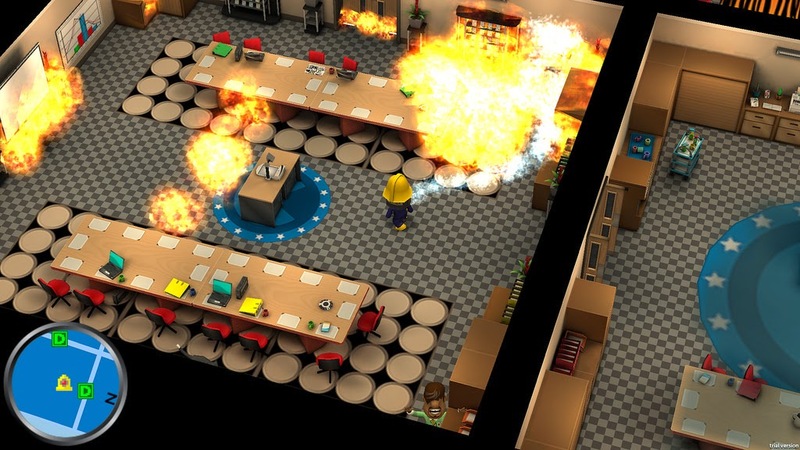 Players control Blaze Carruthers, as he blazes through a building putting out fires, saving office workers and their cats. Below are some brand new screens for Flame Over, which is currently on track for a Q3/Q4 2014 release for Europe and eventually for North America.